Get 10% Off By Adding to Your Cart Today! 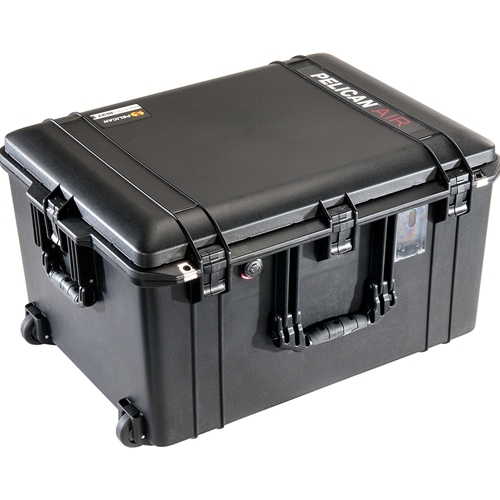 At up to 40% lighter than other polymer cases, the Pelican™ 1637 Air Case, will lighten the loads of the dedicated pros across the world who have set out to change the game. With over 13” of depth, the new Pelican™ 1637 Air cases have more room for bulky equipment like drones and cinema-grade cameras, and they’re still up to 40% lighter than other polymer cases. For ultimate organization choose the multi-layer* padded divider system with a top tray for smaller gear, and a bottom section for larger and heavier equipment. With inventive features that anticipate the needs of pros from every line of work, the new Pelican™ Air models offer innovation with an equal balance of toughness and lightness. Every pro will discover a more effortless user experience and the perfect model in the Pelican™ Air line. This website is independently owned and operated by BOSS Safety Products and is not owned by Pelican Products, Inc.
© BOSS Safety Products 2018. All Rights Reserved. Your shopping cart is currently empty. It is feeling rather lonely as a result. Could you please go back and put some more items in your cart so it will feel that it is leading a fulfilled and productive life? Thanks for your continued patronage. Your wish list is currently empty. Remember this is only a wish list so fill it up with every thing your heart desires. You can always edit it later or send it to a friend so they can buy it for you!